SK Telecom (NYSE:SKM) today unveiled ‘NUGU Mini,’ the world’s first Korean language-based portable artificial intelligence (AI) speaker. With its small size and built-in battery that runs for over four hours, the device can be used anywhere, both indoors and outdoors, to enhance user experience. To commemorate the launch of NUGU Mini, SK Telecom will offer the device at a special discount price of KRW 49,900 for three months starting August 11, 2017. The original price of the portable device is KRW 99,000. NUGU Mini will be available at 11st, the largest online marketplace in Korea, as well as SK Telecom’s authorized retail stores nationwide. 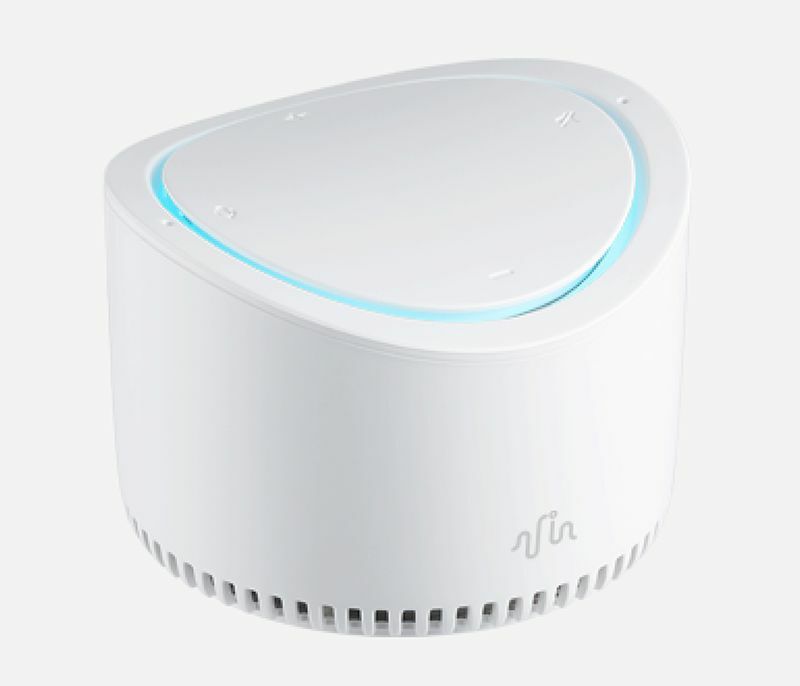 NUGU Mini is a smaller and portable version of NUGU*, an AI speaker the company launched in September 2016. As of July, 2017, SK Telecom has sold over 150,000 units of NUGU. *NUGU refers to SK Telecom’s an artificial intelligence (A.I.) service based on voice recognition technology as well as its first voice-activated AI speaker. Through the application of a cloud-based deep-learning _______framework, NUGU is designed to evolve by itself. NUGU will be able to strengthen its own performance - including speech recognition accuracy - with the growing number of customers. As the number of conversations stored in the NUGU’s cloud sever has exceeded 130 million, NUGU’s voice recognition rate has significantly increased for children’s voice and dialects of the Korean language. Offering the same features as NUGU, the portable speaker supports more than 30 different features: It allows users to enjoy music (Melon), control home IoT (Smart Home), manage schedule, check weather, control IPTV (B tv), check traffic information, and order food delivery. Moreover, the company has newly introduced five different capabilities to the devices, including financial service (KB Kookmin Bank, KEB Hana Bank), movie information service, Korean-English dictionary, audio book service (Audien), and enhanced two-way communication service. For instance, the newly added financial service enables users to get information on financial products, inquire about foreign currency exchange rates, and even get a queue ticket before visiting a bank branch. Also, when a user says that he/she is bored, the device will suggest a fun game or a quiz. NUGU Mini measures 84mm(W) X 84mm(L) X 60mm(H) and weighs only 219 grams, which is much smaller and lighter than NUGU, which is 94mm(W) X 94mm(L)X 219mm(H) and weighs 1,030 grams. Built with a line out port, NUGU Mini can be connected to an external speaker. The device is produced by iRiver, a manufacturer of digital audio players. Why are Network security guidelines so often ignored?